This is William Mitten, a Victorian pharmaceutical chemist. At weekends, however, he was a citizen scientist with a passion for bryophytes – seedless and rootless plants including mosses, lichens and liverworts. He soon became an expert with an impressive collection of over 50,000 specimens from around the world. 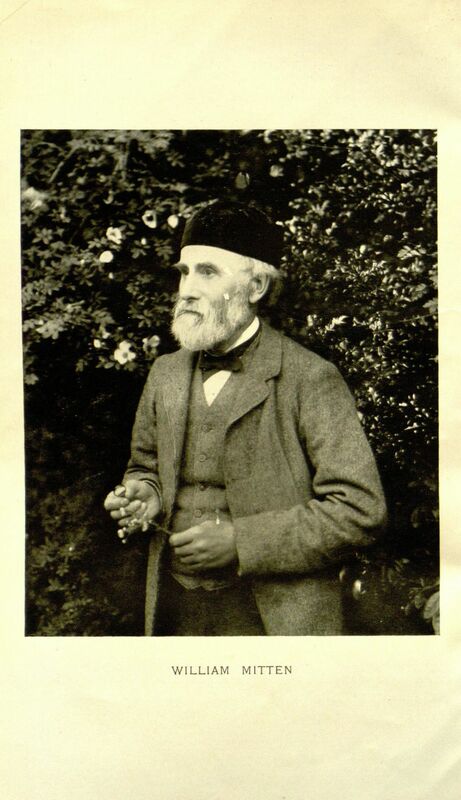 He also contributed to the Journal of Botany, British and Foreign one of the many fascinating periodicals waiting to be transcribed at Science Gossip. Discover one of your Victorian counterparts at www.sciencegossip.org. Previous Previous post: Half a Million in One Week!